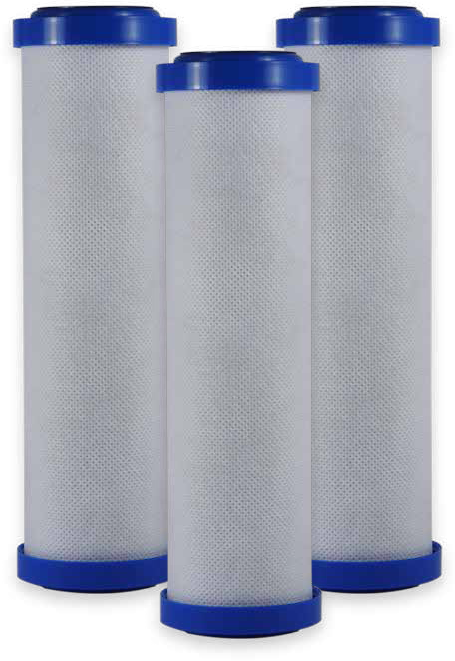 KX MatriKX CTO Plus Carbon Block Filters for Chlorine Taste and Odor Reduction | Applied Membranes Inc.
KX MATRIKX® CTO® PLUS™ carbon block water filters provide comprehensive control of chlorine, taste and odor. KX MATRIKX CTO PLUS filter offers: 1 µm nominal filtration with extended life as a fine sediment and silt control filter, comprehensive removal of chlorine taste and odor and chemicals that contribute to taste and odor, and high VOC reduction capacity. The service life of KX MATRIKX CTO PLUS filters is greatly extended by a prefiltration medium. The KX MATRIKX CTO PLUS is ideal for use in residential and commercial water purification systems, industrial effluent water treatment, food service, industrial makeup, product rinse, process water, and pre-RO and post-RO systems which require nearly absolute chlorine, taste and odor reduction. 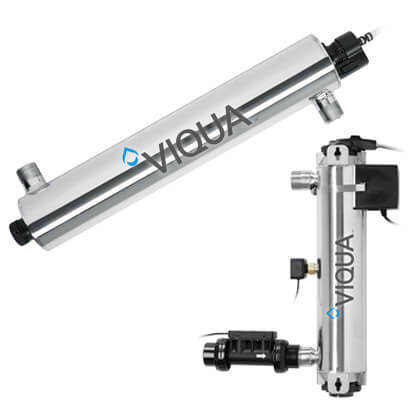 1 micron nominal filtration for removal of sediment, dirt, rust, and suspended solids. Chlorine Taste and Odor Reduction as well as Dirt and Sediment Removal: for better tasting drinking water, and protection of downstream equipment. No release of carbon fines: Extruded carbon filters do not release activated carbon particles ("gray water") during startup or operation. Extensive flushing or "activation" of extruded filter elements is not required. No channeling, fluidizing, or bypassing: Extruded carbon is a rigid structure that prevents movement of the adsorbent particles or the formation of channels and defects in the adsorbent structure. Low pressure drop: Water flows through an extruded filter element in the "radial" direction (from the outside of the filter element to the inside). This results in nearly fifteen times more prefiltration surface area and a much lower flow "density". Low binder content and high dirt capacity: Only a small amount of thermoplastic binder is used in the extrusion process, about one-half of what is used in a molded carbon block. *Not performance tested or certified by NSF or WQA. Performance claims are based on independent laboratory and manufacturer’s internal test data. Actual performance is dependent on influent water quality, flow rates, system design and application. Results may vary. Micron ratings are based on >85% removal of the given particle size. Estimated capacity is based on >90% reduction of 2ppm of free chlorine. KX Technologies® and Filtrex Technologies®, both Marmon Water/Berkshire Hathaway companies, have teamed up to combine the very best of their Matrikx® and GreenBlock® carbon block lines, into a single world class product offering. The new and improved product line is the result of decades of experience in R&D, design, formulation, and manufacture of high-performance carbon block filters. KX Matrikx CTO PLUS filters, powered by GreenBlock, are made from 100% coconut shell carbon, a renewable, and ecologically sustainable material. The carbon is processed into blocks using a unique binder system and proprietary manufacturing techniques to produce filters with a greater number of micro-pores and available carbon surface area, which display superior adsorption capacity and kinetic dynamics. The companies are committed to Research and Development to advance filtration technology in an ecologically sound way. Manufactured in ISO 9001 and 14001 certified facilities. Manufactured from NSF standard 61 certified coconut shell carbon. NSF Standard 42 certified (material safety). 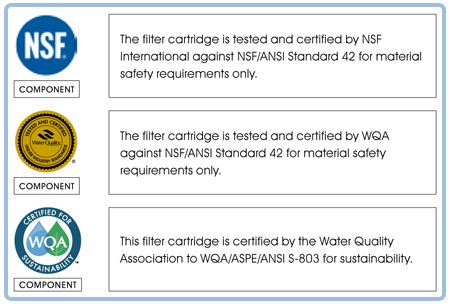 Performance validated by independent laboratories including WQA. Quality and performance monitored in extensive in-house laboratories. KX Technologies® and Filtrex Technologies®, have teamed up to combine the very best of their Matrikx® and GreenBlock® carbon block lines, into a single world class product offering. The new and improved product line is the result of decades of experience in R&D, design, formulation, and manufacture of high-performance carbon block filters. The classic models are no longer available. Please find information on the factory-recomended replacements below.